“Police in New Jersey charged six Christians yesterday for evangelizing in a public park without government permission, and for causing some hearers to be upset with their Gospel message. Robert Parker of Millstone, New Jersey told Christian News Network that he and several Christians from Bread of Life Fellowship in Wayne were all cited on Saturday as they witnessed to passersby in Journal Square in Jersey City. He stated that Richard Corniel of Paterson, a Marine who had served in Iraq, was preaching the Gospel when he was approached by Officer Chris Baker, who immediately shut down Corniel by asserting that a permit was required for his activities. Officer Baker also reportedly informed the Christians that they were in a “private park” and that they had to leave the city-owned property. When Parker first spoke to the police, he stated that Officer Baker demanded identification from all of the Christians under the threat of arrest. Parker said that at first he declined, but police insinuated that if they provided identification, everything would be fine. However, that did not turn out to be the case. Parker explained that the police also confiscated the mobile phone of one of the Christians who was recording the incident, contending that it was against the law for them to record police, and that the officers were taking the phone as part of an investigation. 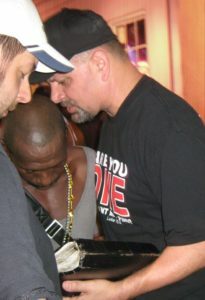 In addition to engaging in open-air preaching and one-on-one witnessing, the Christians were also distributing Gospel literature to those inside the park. However, Jersey City police told them that they were not permitted to hand out tracts in the entire city without government permission. “He kept asking me, ‘Do you know where you’re at? Do you know where you’re at?” Parker outlined. When the supervising officer arrived on the scene to assess the situation, he agreed with Baker. Parker said that at this point, there were five to six law enforcement officials surrounding them. 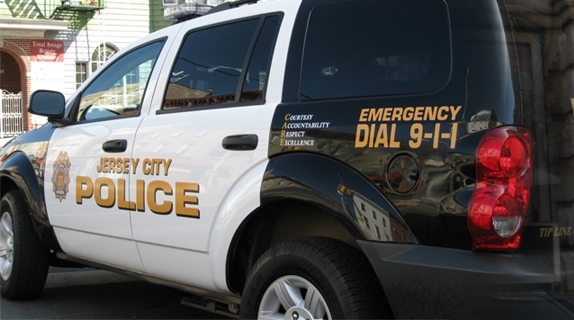 When contacted, the Jersey City Police Department stated that because members of the public were upset with the message being proclaimed, the officers had a right to prevent potential violence. They stated that in such cases, police protocol is to disperse the crowd and silence the speaker. However, some legal experts have noted that the Supreme Court has ruled that heckler’s vetoes — the silencing of speech based upon the reaction of the hearer — are impermissible. The Christians shut down in Jersey City yesterday were issued citations that stated that they were being charged with “breach of the peace” as well. Others cited besides Parker and Corniel include Patrick Colacicco of Iselin, Alexander Solis of Plainfield and Juan Luck of Piscataway. Police also informed Luis Zapata of Palisades Park that they would send his citation in the mail. A hearing date has been set for November 23rd at the Jersey City Municipal Court. The Christians are not allowed to return without obtaining a permit for their activities. 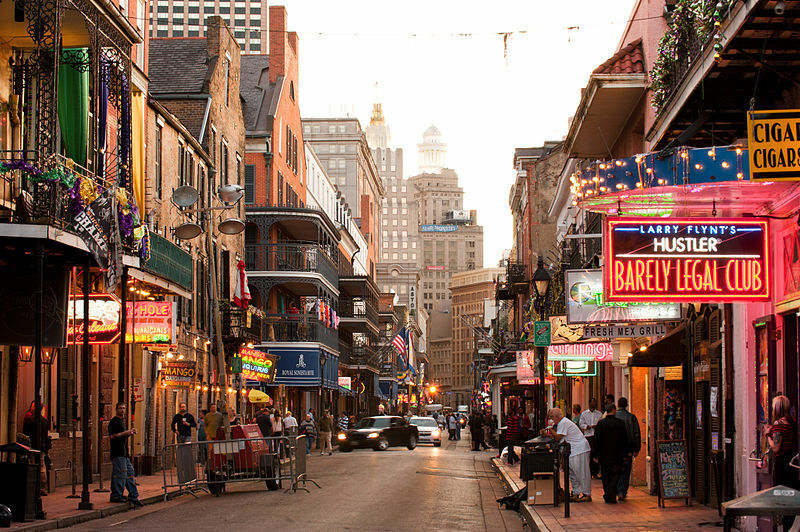 “A pastor and five members of his ministry team were arrested Friday night in New Orleans, Louisiana for preaching on Bourbon Street after sunset. Now that is news and calls for profound reflection. Instead, your lead editorial the morning after (Feb. 26) glossed over this critical issue and endorsed abortion because it is “one of the most personal decisions a woman can make” and because “the abortion decision is undeniably sensitive.” This level of reflection is unworthy of major editorials in good newspapers. I assume you mean by “personal decision” not: having deep personal implications; but: having deep personal implications for only one person, the mother. But abortion is emphatically not a “personal” decision in that limited sense. There is another person, namely, the unborn child. If you deny this, you must give an account of what that little preemie is at Abbot Northwestern. Abortion is a decision about competing human rights: the right not to be pregnant and the right not to be killed. I assume you approve of the Committee’s action. But I also assume you would not approve of the mother’s right to strangle the preemie at Abbot before its 25th week of life. If so you owe your readers an explanation of your simple endorsement of abortion because it is “personal” and “sensitive”. You can do so only in the moral fog of phrases like: Abortion must be left to the woman because it is “undeniably sensitive”. This is not compelling. There are many sensitive situations where the state prescribes limits for how we express our feelings where others are concerned. And there is another concerned. If you are willing, you may meet this “other person” face to face in dozens of hospitals around the country. I am going to be taking a week-long trip to candidate at a church looking for a music pastor. The Lord appears to be in this and we look with expectation to see what He does. Prayer is appreciated. After a several month modified internet fast, I’m back to posting. Hoping to record the preaching of the word; the readiness in season and out of season; the reproving, rebuking, exhorting, and instruction that many faithful disciples of Christ have left for those of us who come behind.